Too many casseroles are weighed down by heavy creamed soup bases. I use this recipe as a swap for a can of creamed “something” — it’s quick and easy and not loaded with sodium. This would be a great base for your tuna and noodles, tator tot casserole or cheesy hash brown bake (party potatoes)! In a pot, melt the butter. Add the flour and mix thoroughly. Let it hang out for a few seconds, but keep stirring it. Add the milk and chicken stock and whisk until smooth. Bring sauce to a gentle boil, stirring constantly. Add salt and pepper to taste. Remove from heat when sauce has thickened. *This cream soup base can be changed up using vegetable stocks and by sautéing chopped vegetables (like celery or mushrooms) with the flour. Add herbs or seasonings as desired. No matter what dish I am preparing I sneak in some kind of vegetables, but this is especially easy to do with casseroles! I just dice them up small and sit back with a smile on my face that I successfully got my children to eat their “veggies” without a fight! This also will stretch the meal a little further by bulking it up with some vegetables, which gets me leftovers. I like to do this when doubling a recipe, as then I can make a larger meal without having to double up on the meat (which can be fatty). Add sautéed onions, peppers and zucchini. Shred spinach and add it the last few minutes of cooking when I am making things on the stove top, and just mix it in with all the other ingredients for a casserole dish. Add sliced and sautéed mushrooms to any casserole to bulk up the dish. I know mushrooms aren’t technically a vegetable, but this is a great way to stretch a dish or reduce the amount of meat needed. Also, mushrooms are low in calories and high in fiber, boost protein in the meal, and contain many vitamins and minerals. In the summer, when locally grown vegetables are readily available (and cheap), I buy in excess and slice, dice, mince the extras and store them in the freezer to throw into pots of chili, soups, casserole or stovetop meals. Sometimes I pre-measure things when I’m freezing them. If I don’t, I can always just break off a hunk of frozen deliciousness and call it close enough. Either way, I can quickly add veggies to any meal without chopping! Plan ahead and stock your freezer with prepared meals that can cook in the slow cooker or casseroles that can be popped in the oven for a quick weekday meal. This takes the stress out of coming home and leaves more time to sit back and enjoy the family that night! Make a double batch of whatever you’re cooking on a given night and freeze half of it. You’re already making the mess, so why not make two meals at once? Then you can thaw it and pop it in the oven for an easy, tasty meal a few weeks later. Leftovers are a blessing some nights, and are especially easy to plan for with casserole recipes. I am always thankful to have something on hand to feed my children when I get off work late or have had a hectic day! After dinner, package the leftovers in appropriately sized containers. If a lot is left over, I leave it all together and we eat it again for dinner another night. If there is just a little left, I put it in bowls for the boys’ next meal, or just package it up for lunches for my husband. I get it ready right after dinner to make the morning run a little smoother! Use whole wheat or high-fiber pastas. This will bump up the nutritional value of the dish — and when they’re covered in cheese, even the pickiest eater won’t notice. When using cheddar, add a little turmeric to the cream sauce. It will add a slight yellow hue, allowing you to cut back a little on the cheese (reducing the total fat in the dish) while still keeping its “cheesy” look. Cut some of the cheese by adding a pureed roasted squash (like butternut, yum!). This will cut calories out of the dish and still leave a creamy sauce — and it sneaks in some valuable nutrients! The roasted squash also adds a wonderful flavor. Hopefully your family will find the sauce as comforting, filling and delicious as our family does! Use low fat or skim milk when making sauces; it will save you some calories and fat. Skip the “crunch” on top. I just stir the sauce with the noodles on the stovetop and serve directly from here instead of dirtying another dish and baking in the oven. This also reduces carbohydrates from the dish and speeds up the process of getting dinner on the table! Writing this has made me hungry and inspired me to get into my kitchen to reclaim more of my childhood favorites — hopefully you’ll join me! For new family favorites, check out Simply Organic’s Reclaim the Casserole recipes. Share your tips for healthier casseroles in the comments! 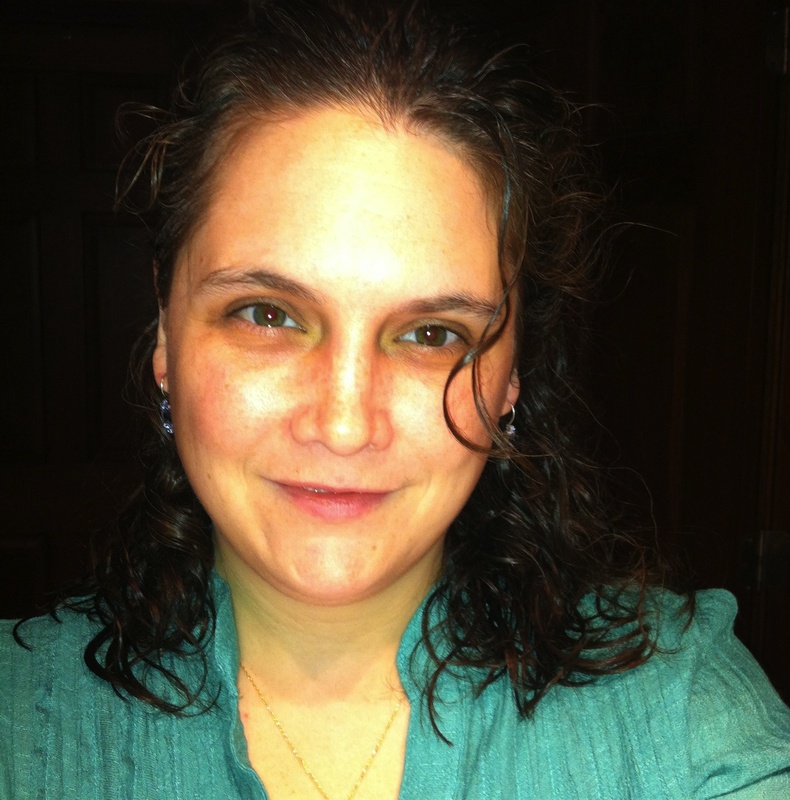 About the author: Sara is a Manufacturing Engineer at Frontier. Outside of work, she enjoys turning leftovers into something new, stretching food boundaries with her family, camping and, of course, spending time with her sweet little boys! This entry was posted in In the kitchen and tagged healthy casseroles by Cayenne Room. Bookmark the permalink.